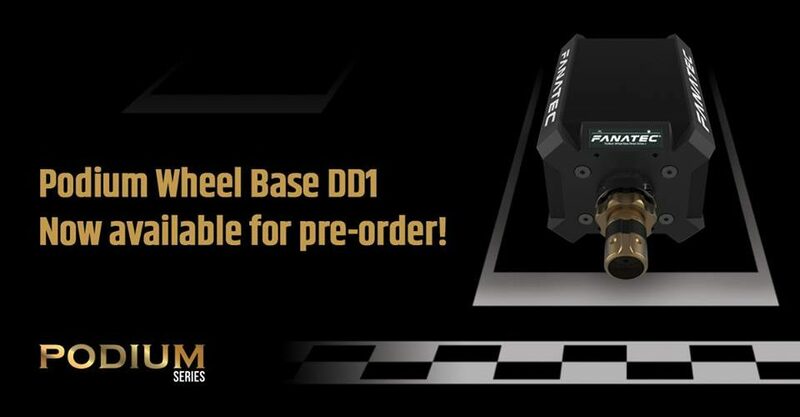 Fanatec is now accepting pre-orders for the Fanatec DD1 wheel base, the first in Fanatec’s new Podium line of direct-drive wheels. 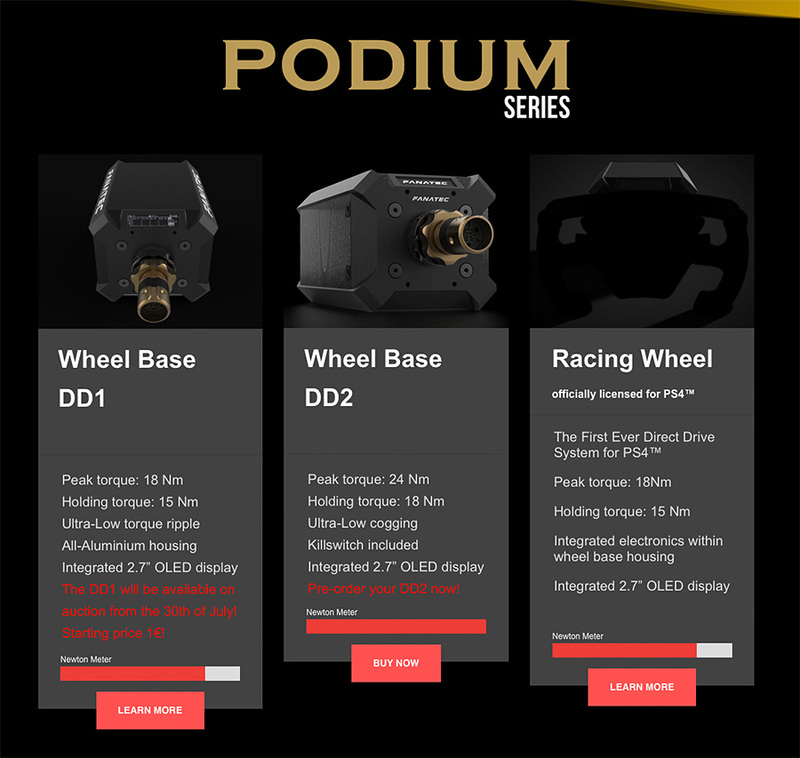 The small brother of the DD2 wheel base, the DD1 offers a peak torque of 18 NM and a holding torque of 15NM, coming with an integrated 2.7″ OLED display. 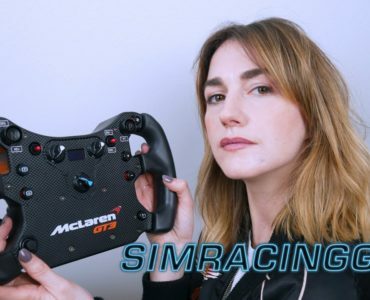 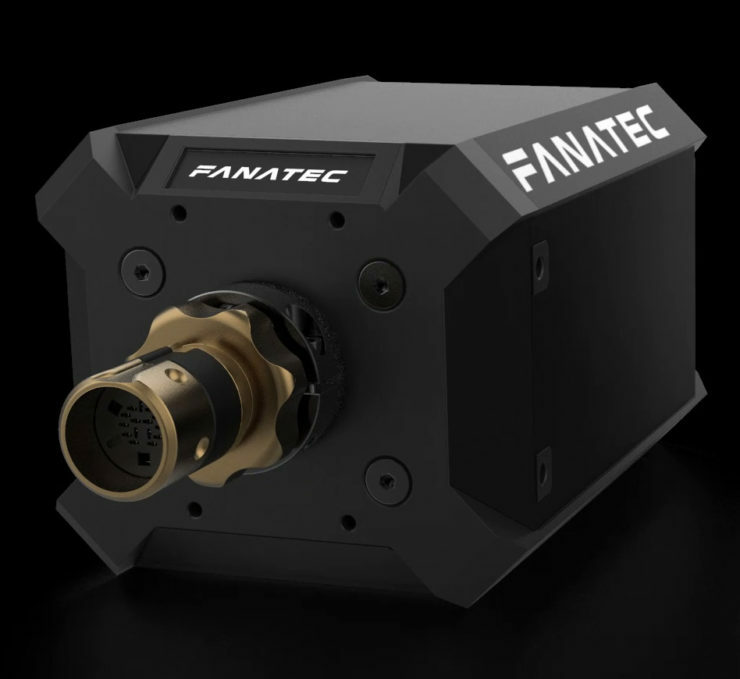 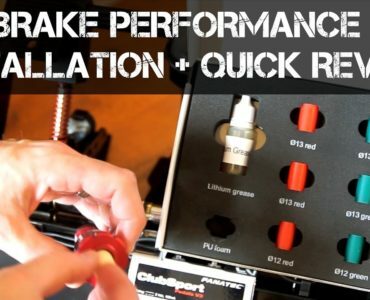 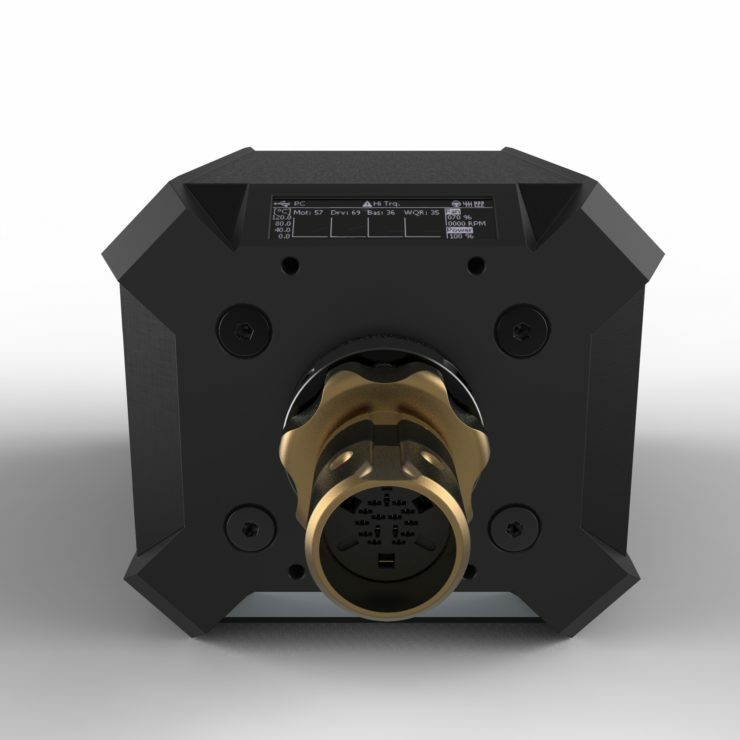 The Fanatec DD1 Wheel Base will be available via a unique auction concept Fanatec recently explained, or as traditional pre-order, selling for 999,95 Euros/Dollars . 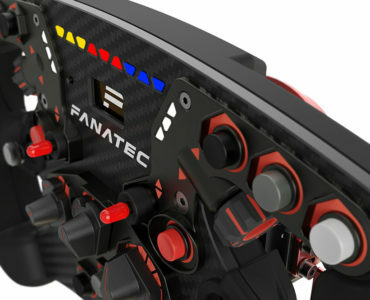 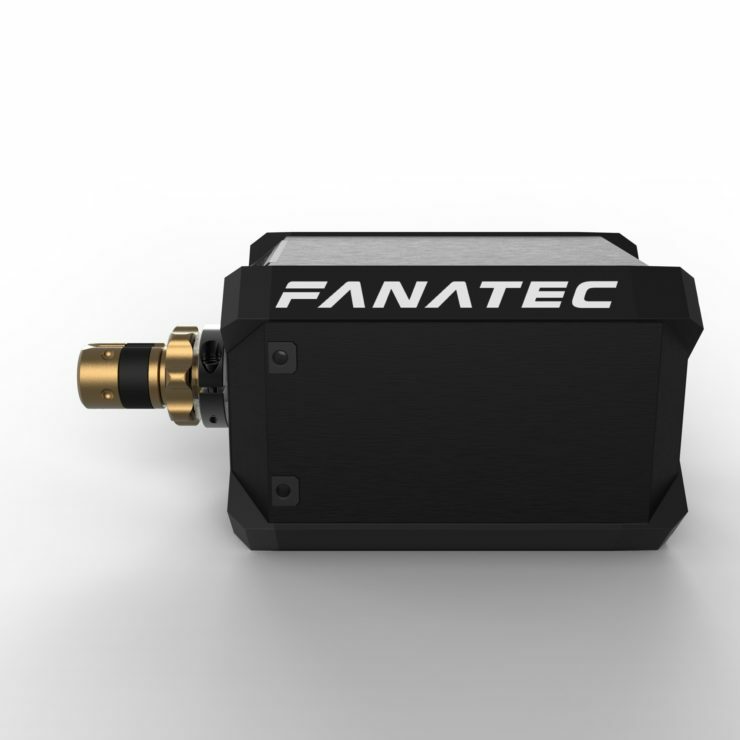 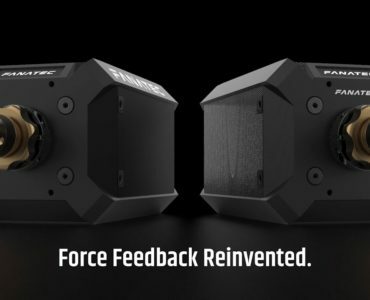 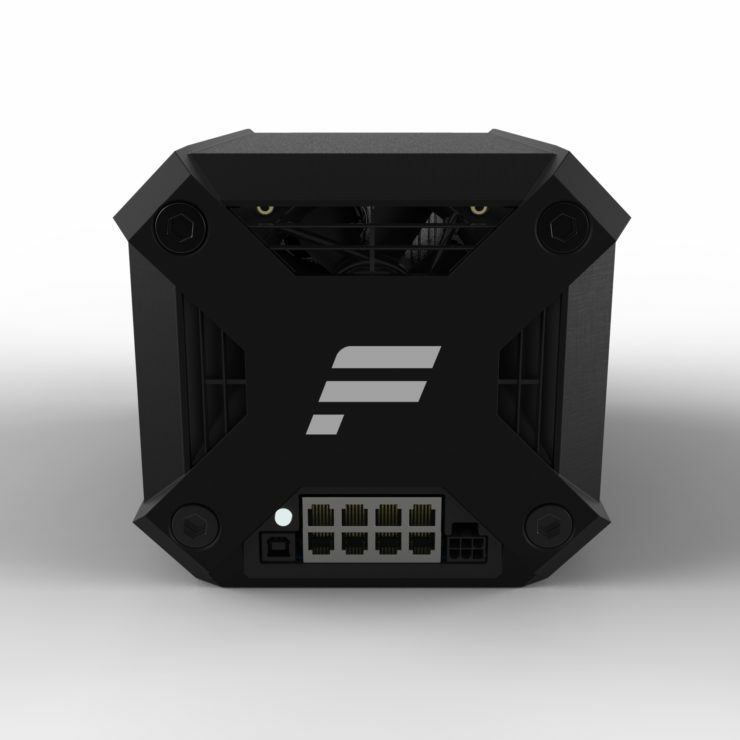 First units are expected to be available starting December 7th, more info is available on the Fanatec website.